It was so simple. And yet so profound. A Sunday service I will never forget. Many of the shells were broken and yet through the eyes of my then 3-year-old daughter, and our special friend, they were equally as beautiful and most definitely worthy of being a part of the shell collection. Heart like a child. 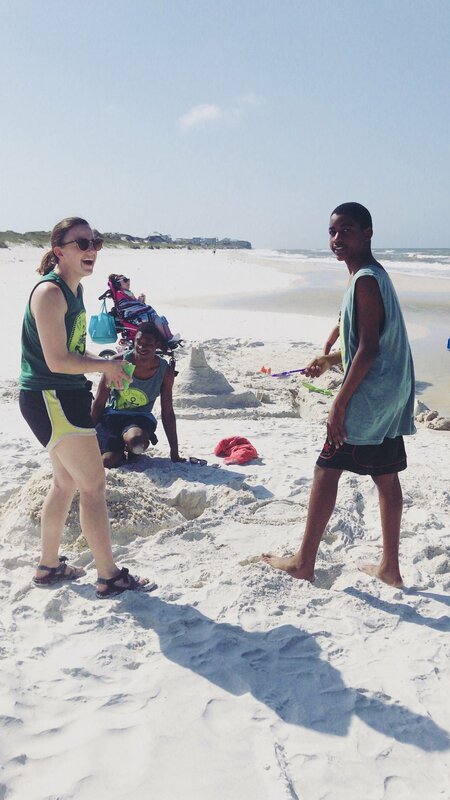 That was the last day of our first ESP By the Sea family camp. Three years later and it is Sunday as we head home again. I think back on the weekend’s memories and I’m again reminded why I love this family so. Yesterday I sat on the beach and watched a sand building competition. 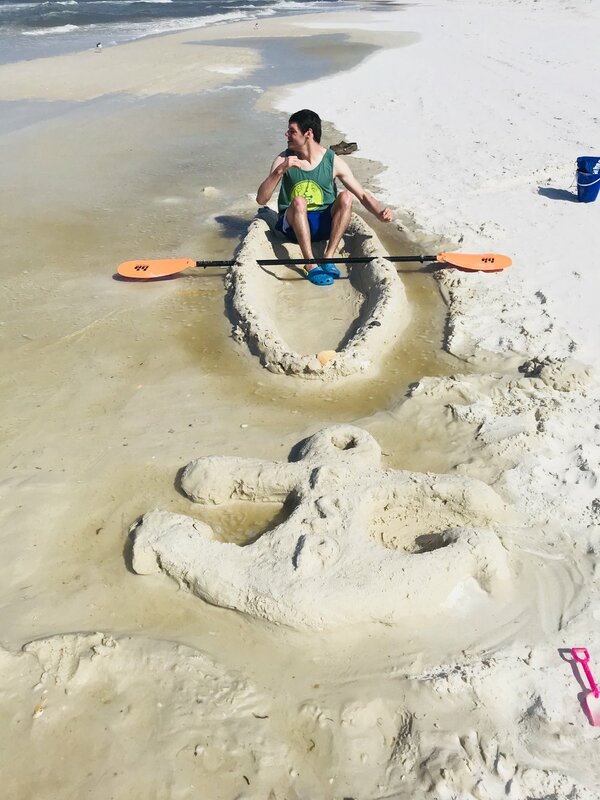 Adam collected sand from his chair to contribute to his family’s masterpiece, Finley picked up shells to add to our castle, Shawn was the feature of his kayak castle and Mason was the king of his granular throne. 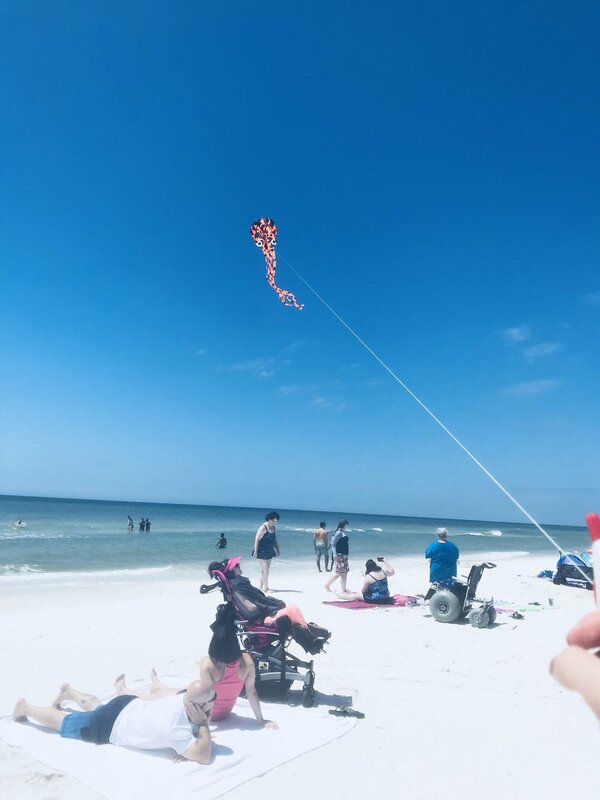 Twenty families were enjoying the beach together… black, white, Asian and Latino… Autism, Down syndrome, cerebral palsy and chromosomal disorder…. old, young, financially stable and on full financial scholarship. Family camp is a weekend where families from various corners of our community come together not knowing each other and leaving hand in hand. 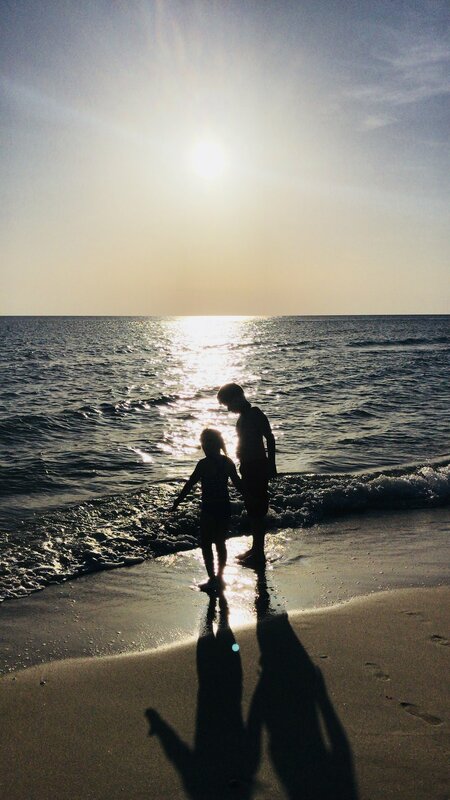 They bonded in a short three days over beautiful sunrises and sunsets, camp-delicious meals, kite flying and sand building competitions, stage performances, ocean fireside s’mores.. and acceptance. I wish I could better bottle up the type of love I feel fortunate to witness. But for now, I’ll just share about it. It is possible to have people so very diverse unified. 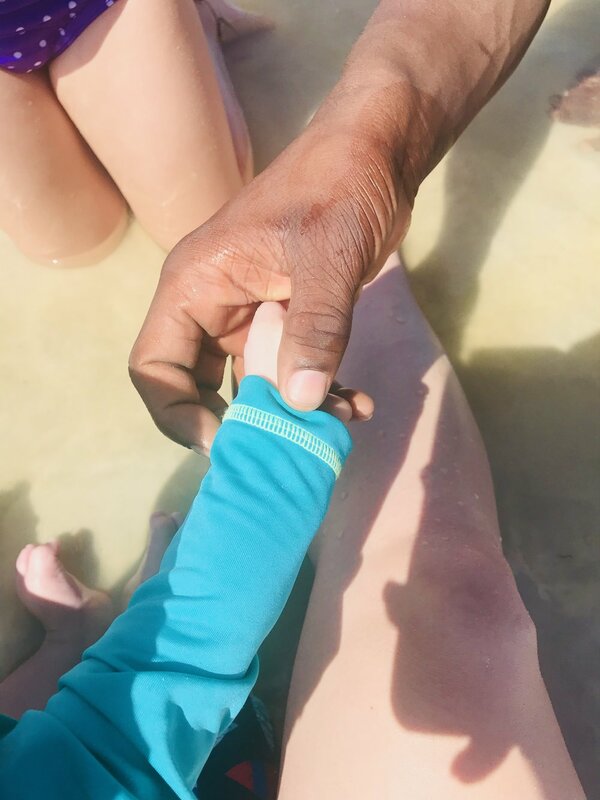 The one common characteristic of having a child with special needs brought a group with of hundreds of differences together. With so much dissension in life, work, politics, schools.... 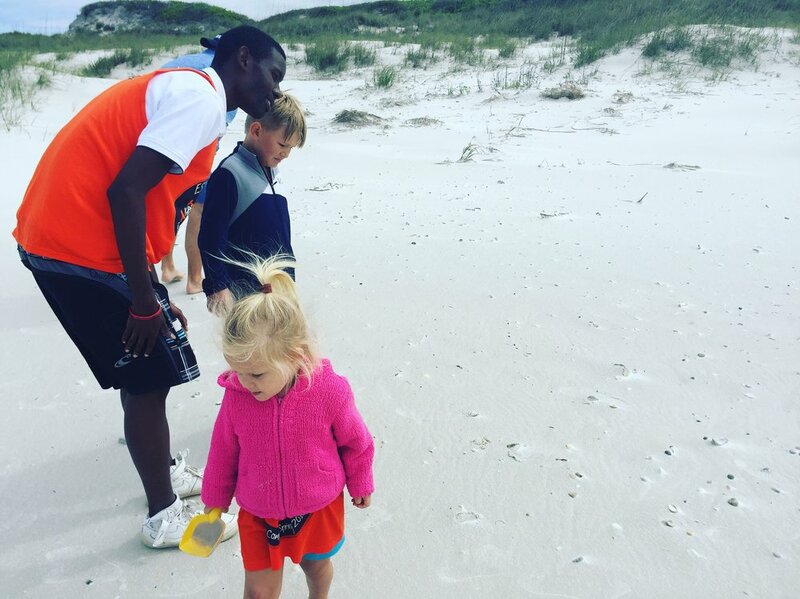 I think we could all use a dose of time on the beach collecting shells. If the focus is not on the color of the shells, whether they are striped, shiny or whole. Instead the focus is on the one thing we have in common.... we may begin viewing each other as we are viewed from above- a part of the collection. The more diverse, the better the collection. All perfectly created. All equally beautiful.